When Broadway Furniture first opened its doors more than 80 years, we were already committed to some of the core principles that still guide our business today. Of course, we rely on some of our most trusted furniture brands to continually provide us with new inventory that not only stands out for its contemporary designs but also stands the test of time because of its rugged construction and durability. 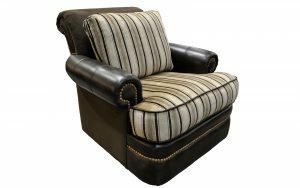 For three decades now, Omnia Leather has been “Personalizing Comfort.” It remains a staff and customer favorite due to its beautiful styling and an admirable and artistic eye for detail. Plus, Omnia Leather has one of the best warranties in the industry. Broadway Furniture proudly offers a wide selection of Omnia furniture — everything from ottomans and chairs to recliners, sofas, sectionals, and sleepers. Omnia uses only 100 percent top-grain leather in its product line. That means style, comfort and, perhaps most important of all, strength. 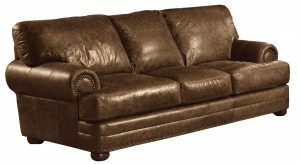 Because they use only top-grain leather, their products age beautifully as your piece adapts to your family’s lifestyle. And each Omnia hide has its own unique markings, reflecting its particular history. Omnia works hard to find the best hides with the most beautiful details that become richer and more satisfying over time. Consider the following Omnia Leather products — all made in the U.S.A. and available in a variety of colors, fabrics, and leathers. 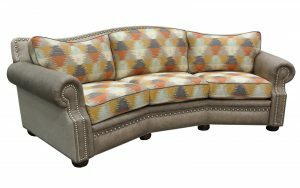 With a spacious and comfortable arm design, the Dallas also has a sleeper option. With individual seat cushions and wooden legs available in several finishes. Available in 100% top-grain leather or fabric. It also comes in a variety of colors and your choice of nail trim. This lovely item features a smooth and rounded backrest. The comfortable and ingenious design blends perfectly with the similarly rounded arms, promising comfort and style that will last a lifetime. Truly a beautiful and sturdy piece of work, the Aledo features all of the standards that make Omnia such a wonderful brand. Customizable with your choice of nail trim, color, and available in leather or fabric, this is a true connoisseur’s choice. Broadway Furniture has so much more to show you! Visit the Broadway Furniture showroom to test out some of these amazing items (call for availability). You’ll see just why Omnia Leather remains at the top of the list for both consumers and those of us here at Broadway who sell furniture for a living.